Perfect Location Stroll to Beach. Beautifully renovated main home + Bungalow is perfect for those that want luxury living and an 5 step office, clients can freely come and go without coming into the home space. Inside the main home, you’ll find a delicate balance of mid-century architecture with long clean lines and plenty of light with coastal flair. Be welcomed into the lounge which flows easily through the centralised kitchen, servicing the dining, second lounge, and covered outdoor entertaining area. Three bedrooms, all with generous built in robes are serviced by the master bathroom with separate shower and tub. Feature gas cooking, ducted heating, large fully fenced and secured backyard. 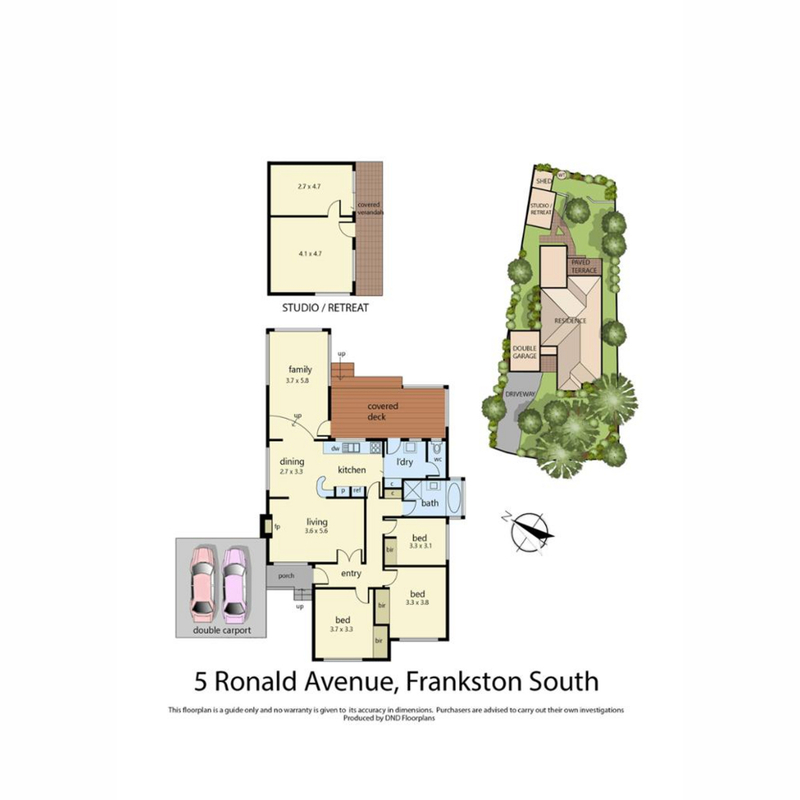 Positioned in both the Frankston High School Zone and Derinya Primary School Zone, you’ll have top choice of some of the best schools on the Peninsula. Nearby, you’ll love Yamala Tennis Club, Norman Avenue Shops, and walking to the beach. Modern Renovated Potential unit site S.T.C.A.